James began his filmmaking career by studying at both The London Film School and The Los Angeles Film School. Roger Corman spoke at his graduation and soon offered James a film to direct. DEMON SLAYER was released in 2002. James went on to form Dark Highway Films in 2006 to direct his second feature SUGAR CREEK. In 2009, James directed his largest film, LA LINEA – THE LINE, starring Andy Garcia and Ray Liotta. The film was Maya Entertainments largest grossing film and was in the top ten rentals for 6 weeks. Richards is a prolific western author and a two-time winner of the prestigious Spur Award, among other numerous awards, including the OWFI Fiction Book of The Year Award, Inductee of the Arkansas Writers Hall of Fame, and winner of the Western Heritage Award for Western Novel. Growing up in Arizona, the backdrop of this cactus, desert state tends to be the setting for his stories. The legendary Richards is the author of over 140 western novels and short stories. 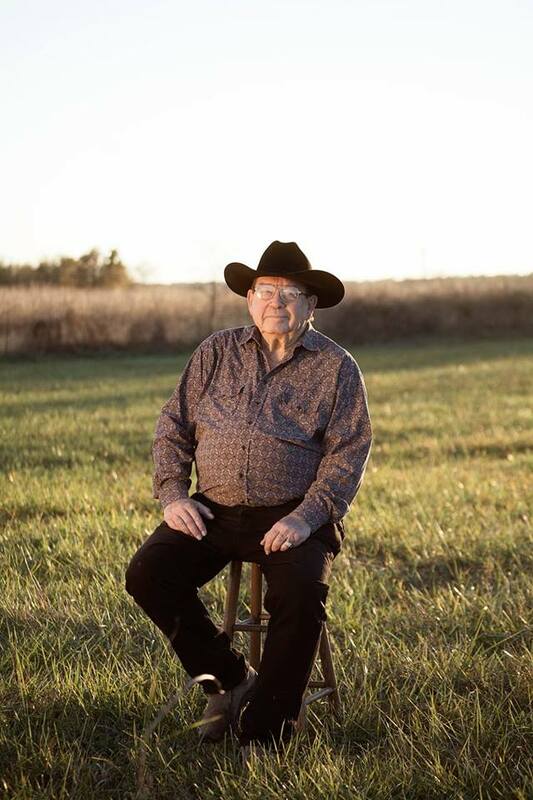 On top of writing, he is also a rancher, rodeo announcer, and former TV anchor. He is a member of the Western Writers of America. Amber is a Northwest Arkansas independent screenwriter/producer. She has written several feature length and short movie scripts. Her work ranges from original stories to adaptations. She also works with other writers and helps them develop and edit their screenplays. Her latest premiere included THE GOD PARTICLE, an official selection of the Top 20 Louisiana Film Prize. She previously produced THE SHOES OF HAYIM. Amber is the screenwriter of the award winning short, THE SOWERS - an Audience Choice win at the Bentonville Film Challenge. Vicki is an Arkansas native but also spent time living in Oklahoma and Colorado Springs, Colorado before returning to Arkansas to attend law school. She is a partner with the law firm of Conner & Winters and has been practicing law for almost 20 years in Fayetteville, Arkansas. In addition to her legal work, Vicki also enjoys participating in the film industry as an actor and producer. Vicki is a horse lover and somewhat of a “horse-whisperer” - she has tamed three wild Mustangs. Priscilla is a filmmaker residing in the state of Arkansas. She has her Bachelor's degree in directing and acting with an emphasis in theatre. She has directed several full-length theater productions, along with acting in short film productions in northwest Arkansas. Adding to Priscilla's creative roster and jobs is photography. She also teaches piano. Corey Allen Jackson is a renowned composer for film and television. Originally discovering music through a passion for rock and roll, Corey developed his craft through classical training as a composer at Paris’ distinguished La Schola Cantorum. Since then, he has gone on to work in some of the most unique and inventive projects in the realms of Hollywood, television, and independent film. Most recently, he worked on Chuck, the highly-acclaimed Chuck Wepner biopic, starring Liev Schreiber, Naomi Watts, Elizabeth Moss, and Ron Perlman.